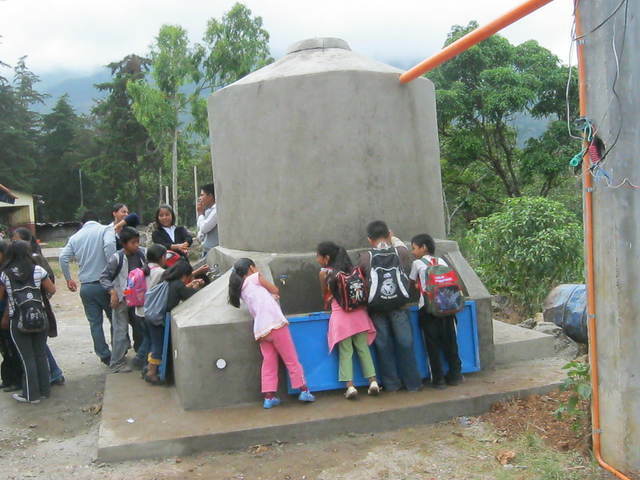 The project had originally been planned to install a pumping system from and existing storage tank that received water for the school from the community. 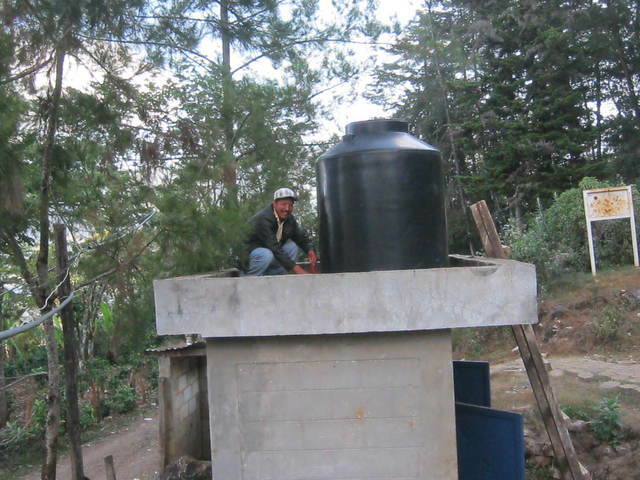 Just prior to our construction period in Dec. 2011 a group from the US came and installed the pumping system along with a water purification system using ultra violet technology. 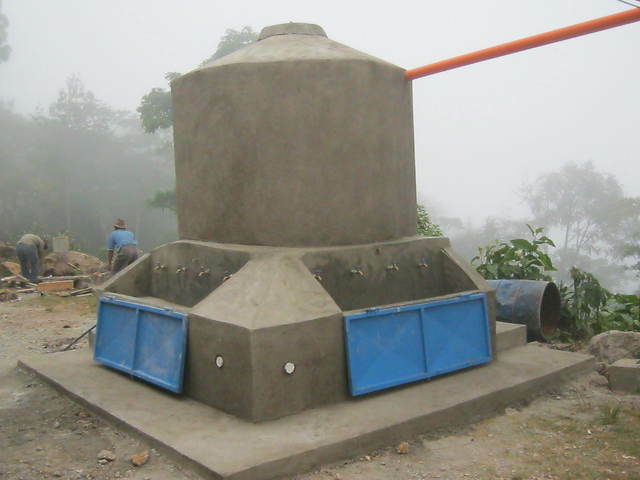 As a result the project costs were less than expected. 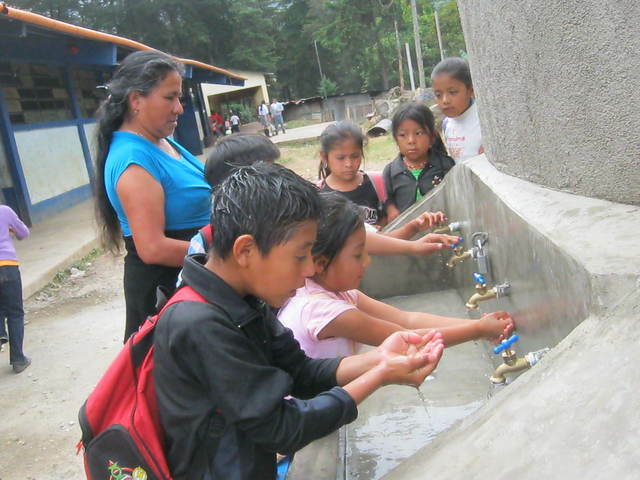 As a result of the project the storage tanks on top of the bathrooms were reconnected to the water system and the flush toilets repaired sothat the children could begin using the sanitary facilities.